A building 1,045 sqm consisting of a property in 5 levels: two levels 557 sqm indoor + 400sqm outdoor area that is suitable either for business use or for building a home complex and 2 floor apartments that can be readjusted as a maisonette or 2 maisonettes given that the living room of one apartment is placed above the other or can be readjusted to smaller apartments. 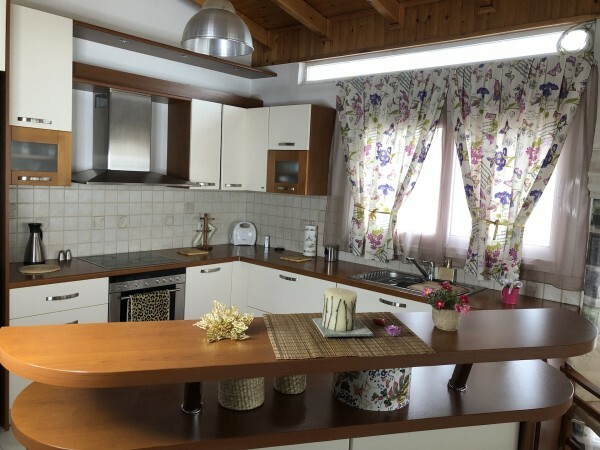 The 2 floor apartments (175 sqm & 124 sqm) are fully furnished and equiped suitable for rental use or Airbnb use. Moreover, there are 2 semi basement buildings suitable for any use, store rooms and indoor and outdoor partking lots. 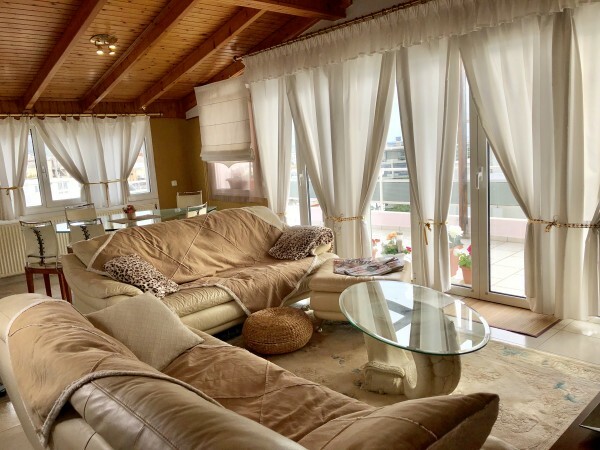 4th floor 124 sqm - Fully furnished and fully equiped luxury penthouse of 106 sqm. Having 100 sqm. 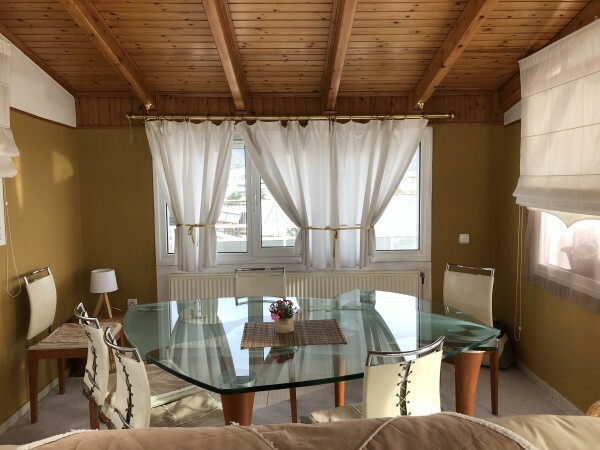 balcony all around the apartment, high wooden ceiling, one bathroom, one master bathroom. large living room with fitted & fully equipped kitchen with all home appliances (refrigerator with 3 freezer drawers, kitchen with ceramic hobs touch, automatic oven with many programs, dishwasher with hidden buttons all inox) with concealed lighting and touch switch, tile flooring, matte metal finish curtain poles, double glazed windows and electric blinds, autonomous & underfloor heating, all the rooms are equipped with an individually adjustable air conditioning system, water heater, large loft area, unlimited sea view and mountain view (from inside), indoor parking lot, storeroom, elevator. 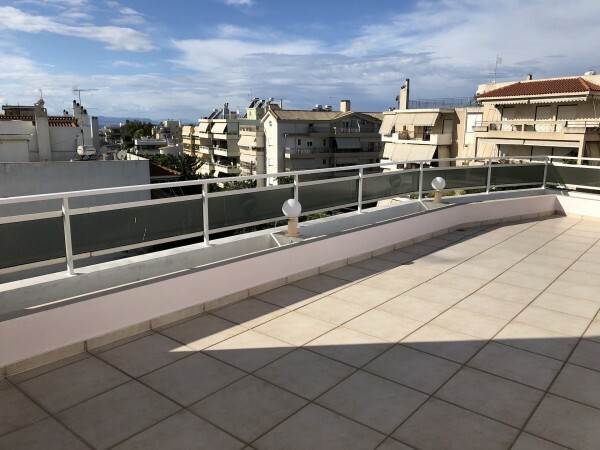 3rd floor of 175 sqm - A fully furnished and fully equipted luxury penthouse of 156 sqm having 150 sqm balcony, high ceiling, 2 bathrooms. 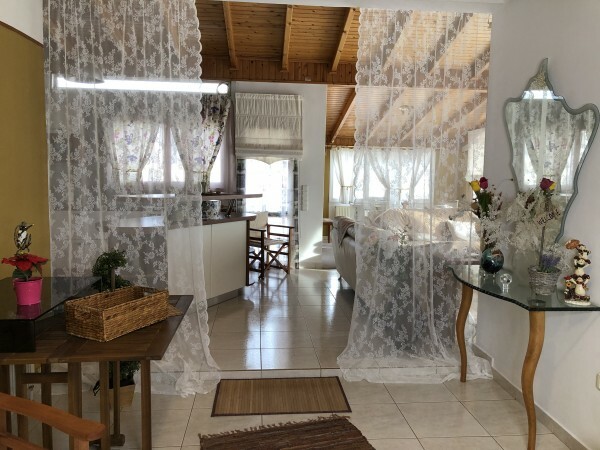 4 bedrooms, large living room, a fully furnished wooden kitchen (walls at the kirchen are covered in wood as well), inox oven and refrigerator with 3 drawers freezer, dishwasher. Wooden floor in living room and tile floor at all other areas. 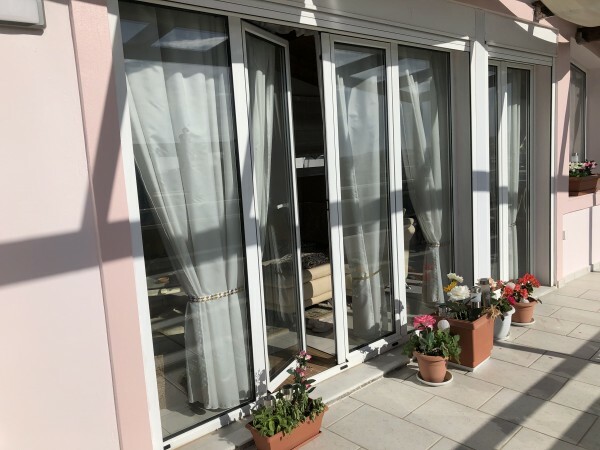 Autonomous heating, 2 water heaters (small kitchen water heater), air conditioning, loft, large balcony all around the penthouse, garden, unlimited sea view ​​and mountain view, barbeque, indoor parking lot, storeroom, elevator. 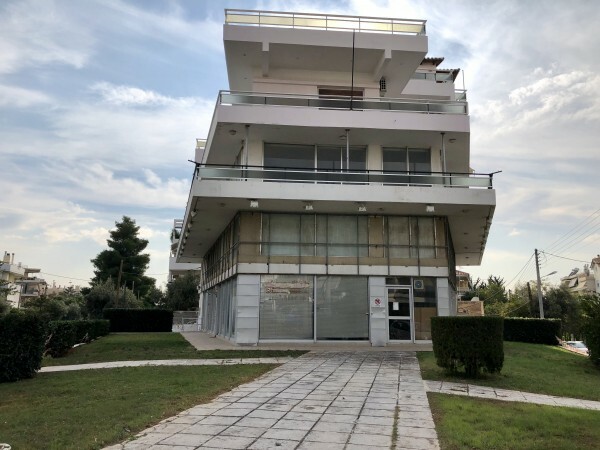 1st floor (160 sqm (there is an internal staircase as well an autonomous entrance) - One space area of 142 sqm, bright, sliding glass windows, mosaic floor, 1 toilet, 1 shower, 1 small room, autonomous heating. 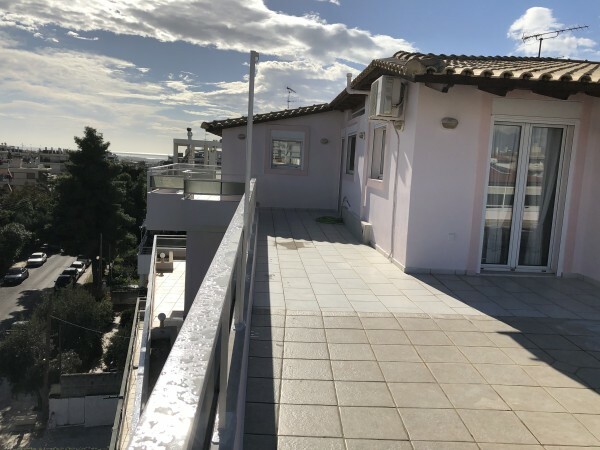 Ground floor of 303 sqm - One space area of 283 sqm, bright, sliding glass windows, mosaic floor, 4 toilets, a kitchenette, autonomous heating, exclusive use of the 400 sqm outdoor/garden area, great view on 3 streets. 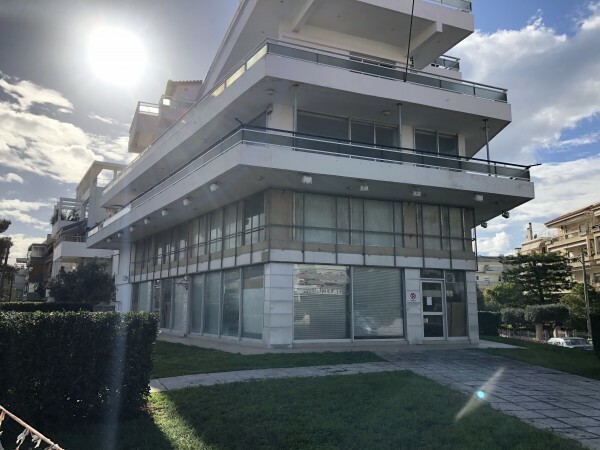 Additional rooms - 3 store rooms, 1 semi basement building 94 sqm, 1 semi basement commercial building 58 sqm, 3 parking spaces, 2 semi outdoor locked parking lots, indoor parking lot of 58 sqm and 2 outdoor parking lots. More specifically the ground floor property is suitable either for business or for home use. 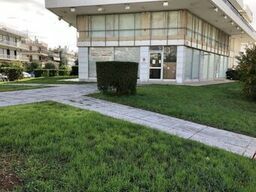 There is a great potential in the total property of 557 sqm to build 2 mesonettes the one of them in 3 levels taking advantage of the basement 94 sqm, ground floor and 1st floor that is already connected with an internal staircase and the other one in 2 levels (ground floor and 1st floor). It should be mentioned that the total outdoor area that belongs exclusively to the ground floor property is 400 sqm that can be equally shared to independent home buldings.